Reward good efforts in traditional style with these Aboriginal Designs. Award merit in fairy tale style with these themed stickers featuring characters we all know and love. Award a sensory merit with these scentsational scented stickers featuring lots of different flavoured themes. 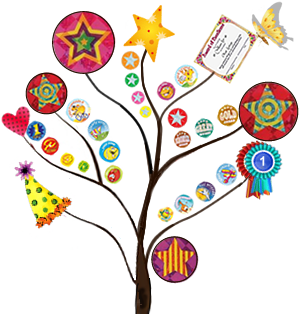 Award progress one step at a time by sticking these small and colourful dynamic dots to a progress or incentive chart.